Seasonings to taste. I added 1 tsp taco seasoning but it's really up to what you are mixing the rice with. 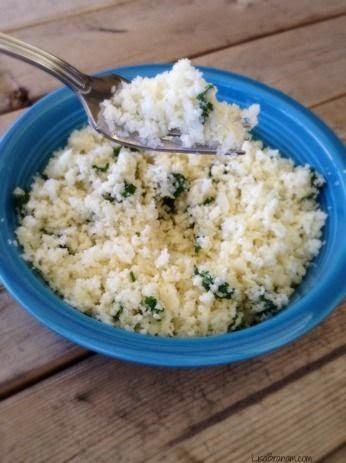 Cut cauliflower into florets and place them in a food processor. Pulse until the cauliflower is a rice like consistency. Set aside. Melt oil and ghee in a pan over medium heat. after the fats have been melted about 2 minutes add the riced cauliflower turning to coat. When the cauliflower is done add the lime, cilantro, salt, and seasoning. Mix it all together and ta da you're done. Visit Dr's profile on Pinterest.